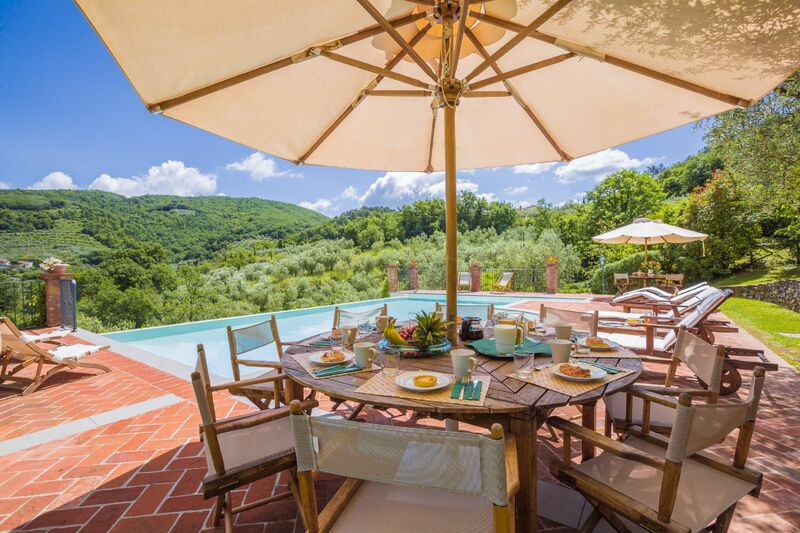 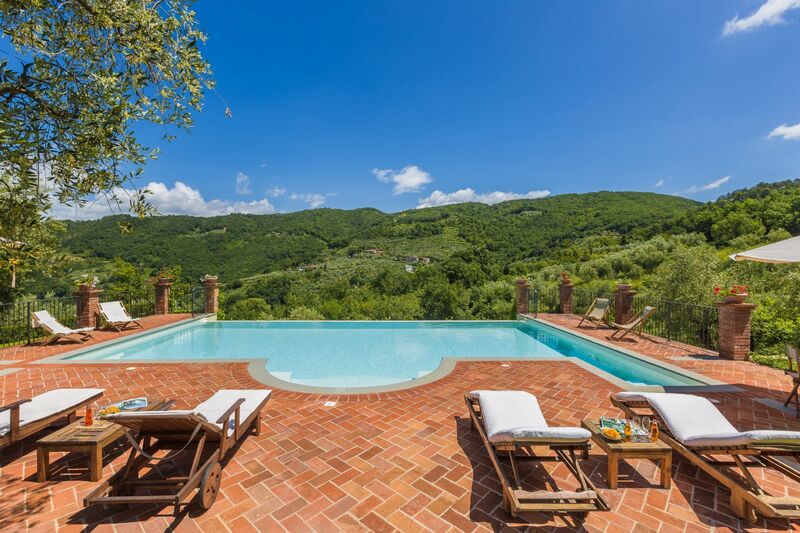 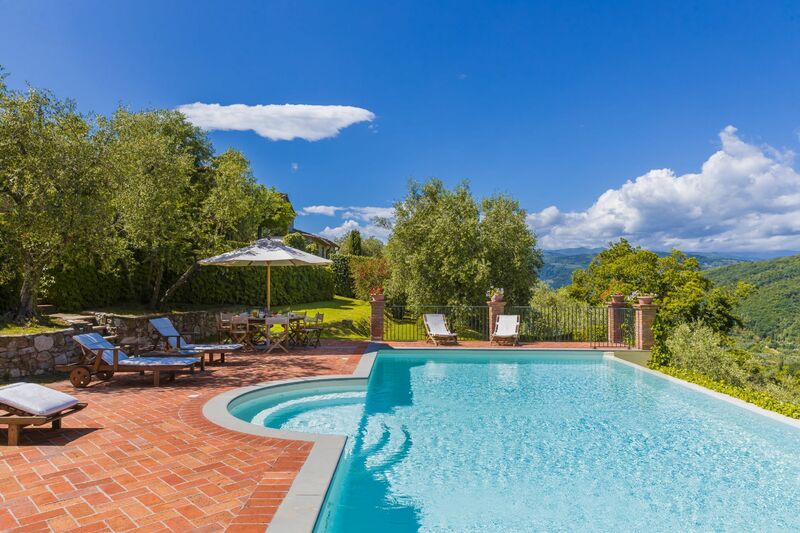 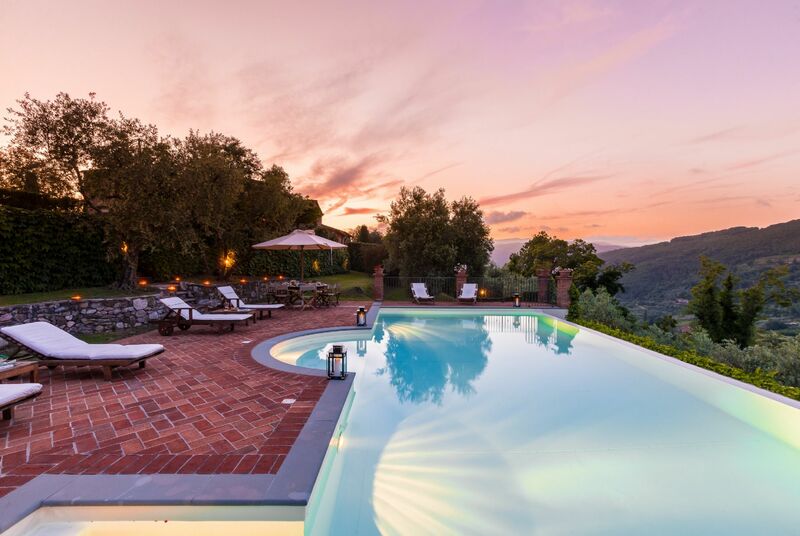 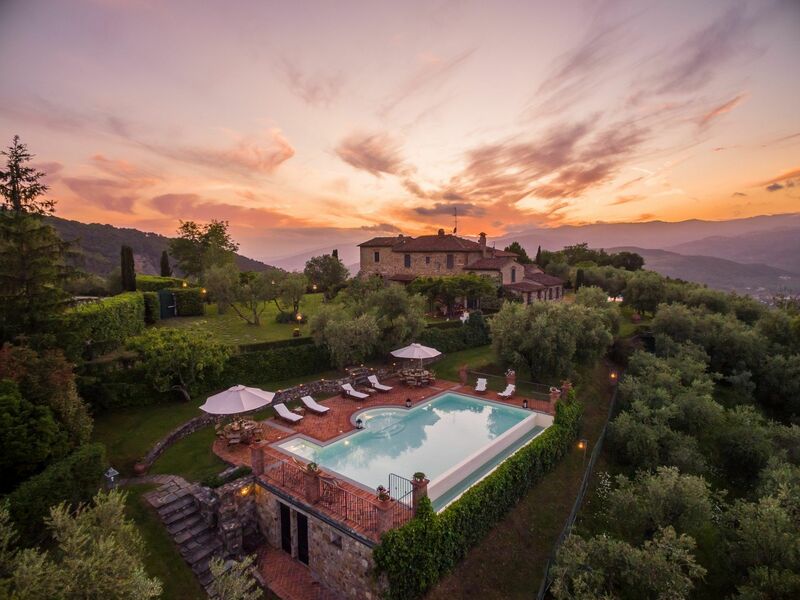 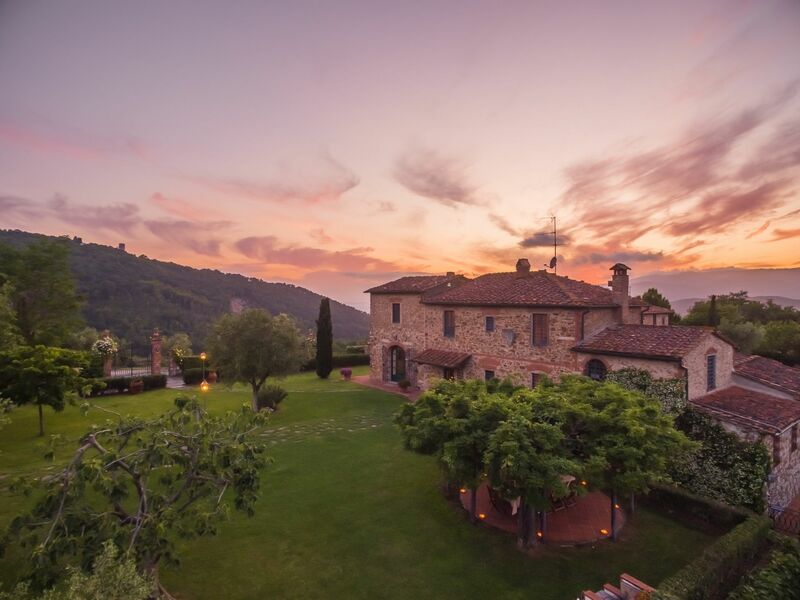 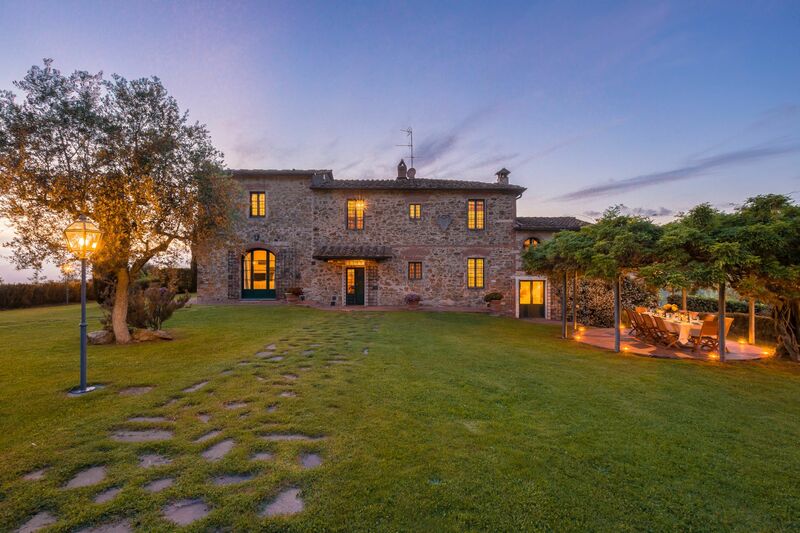 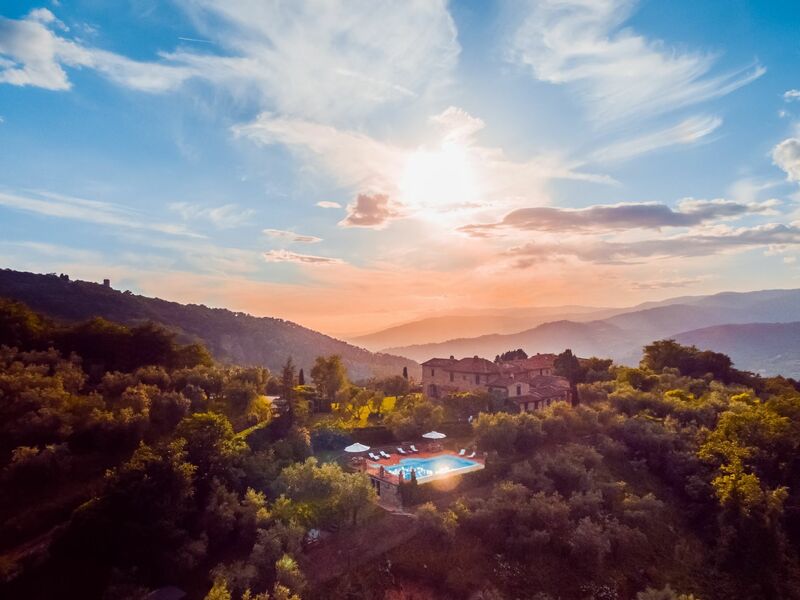 The perfect Tuscan getaway with panoramic views and a beautiful infinity pool (alarmed for children's safety) ! 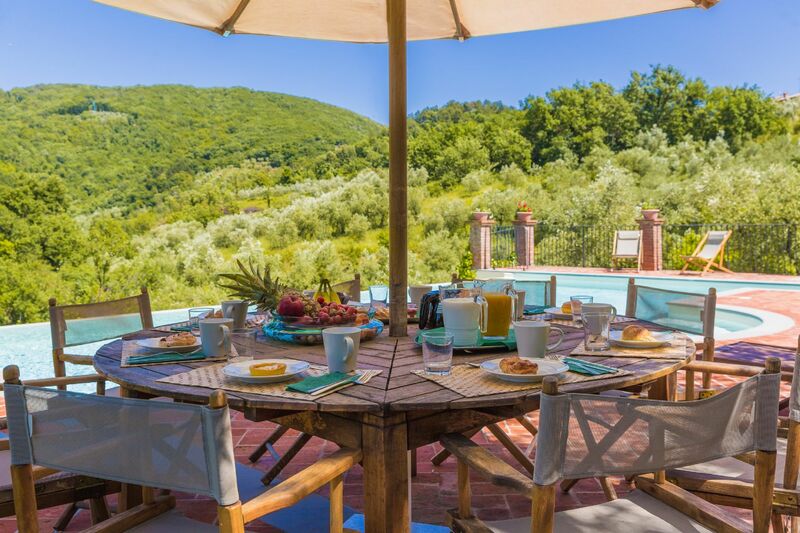 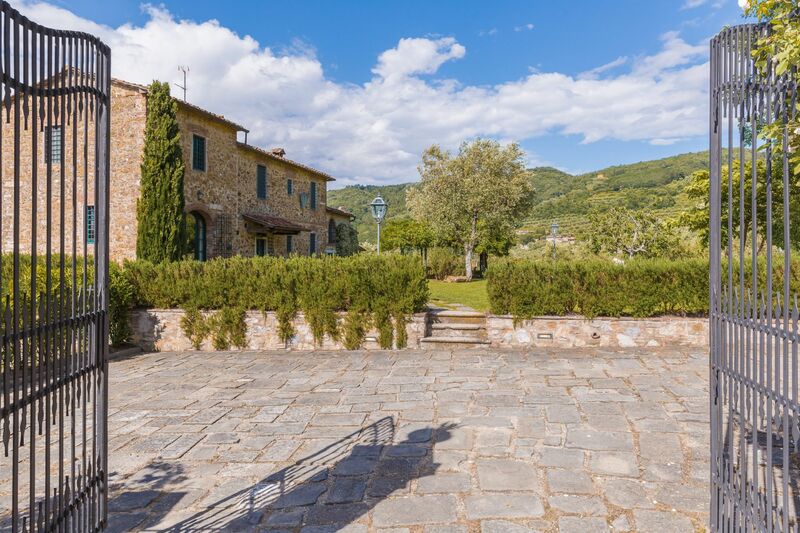 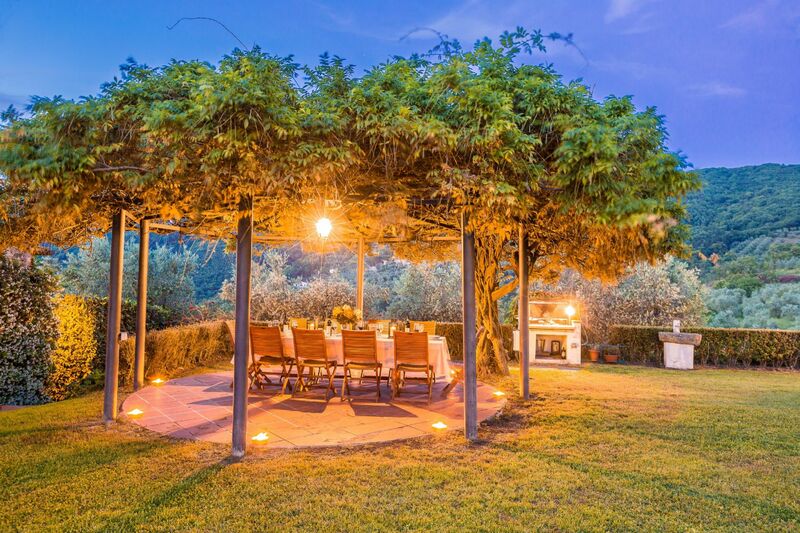 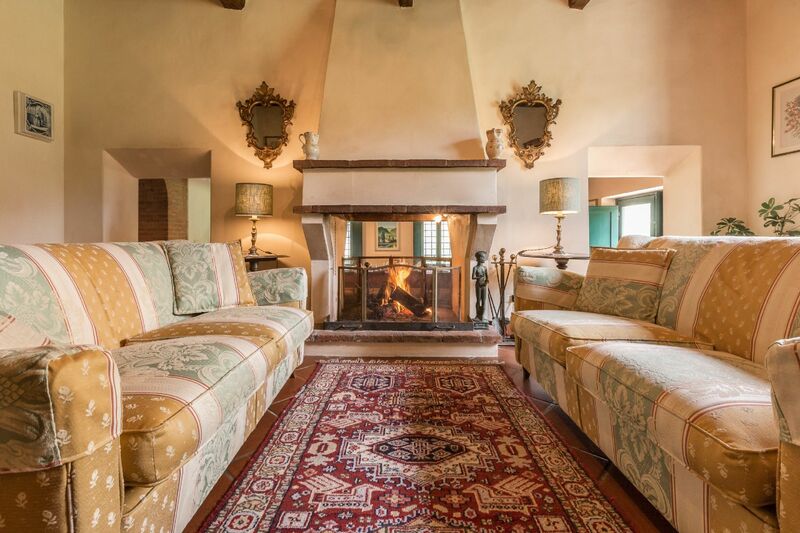 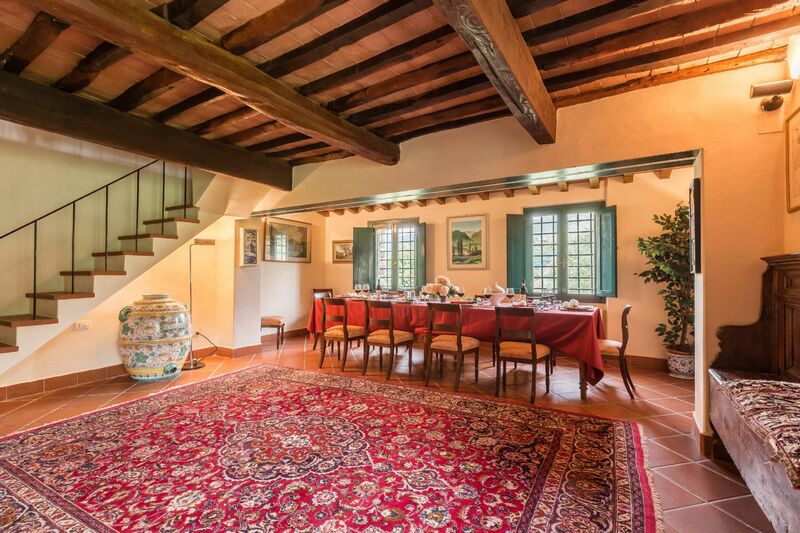 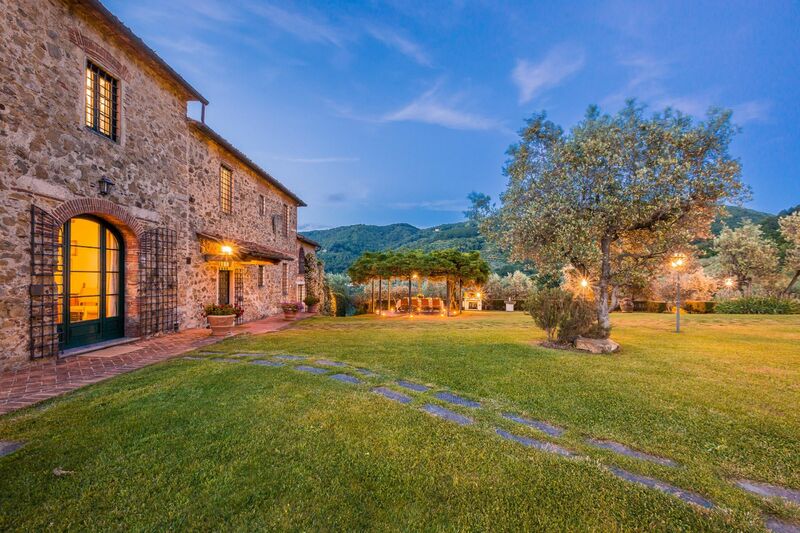 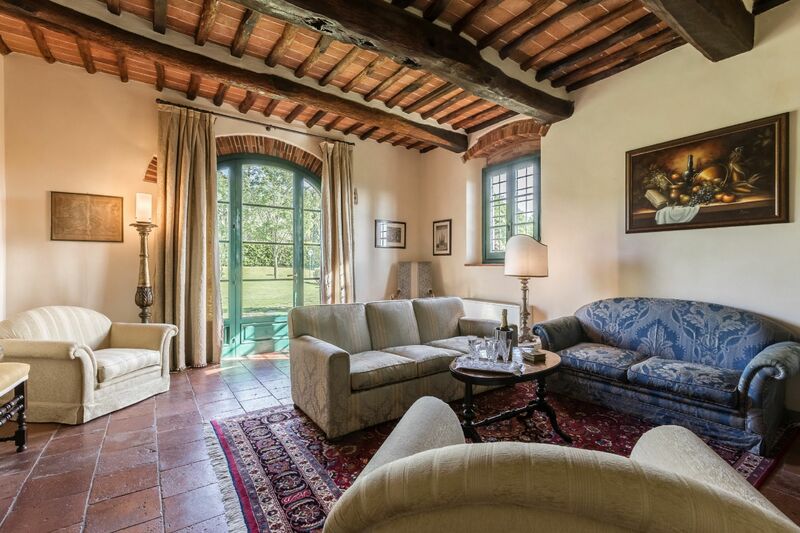 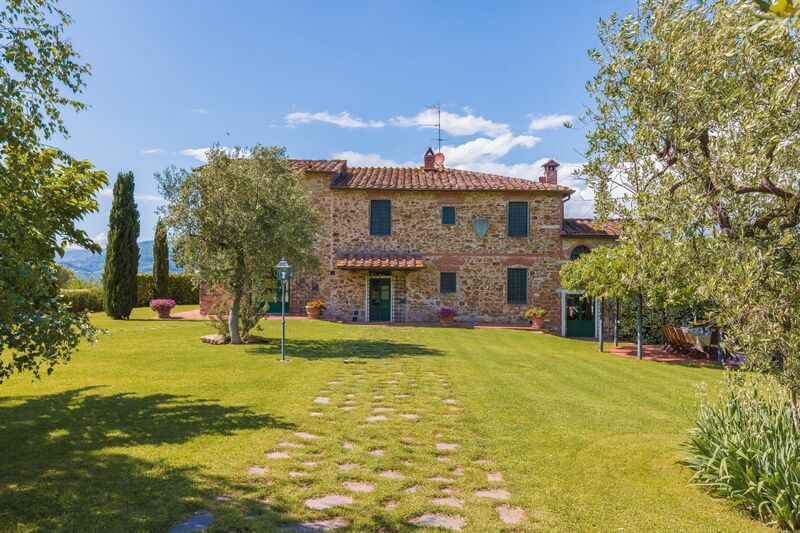 This stunning 18th century villa is surrounded by 18 acres of olive groves yet only a 10 minute drive from Montecatini spa town . 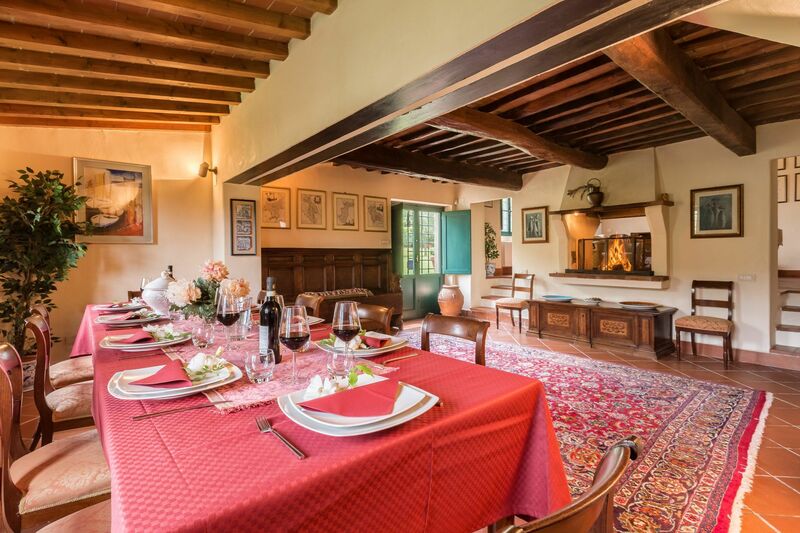 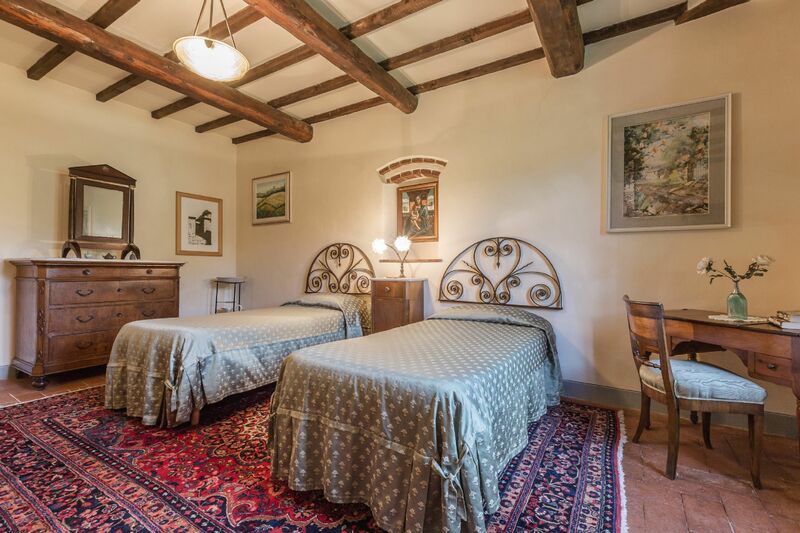 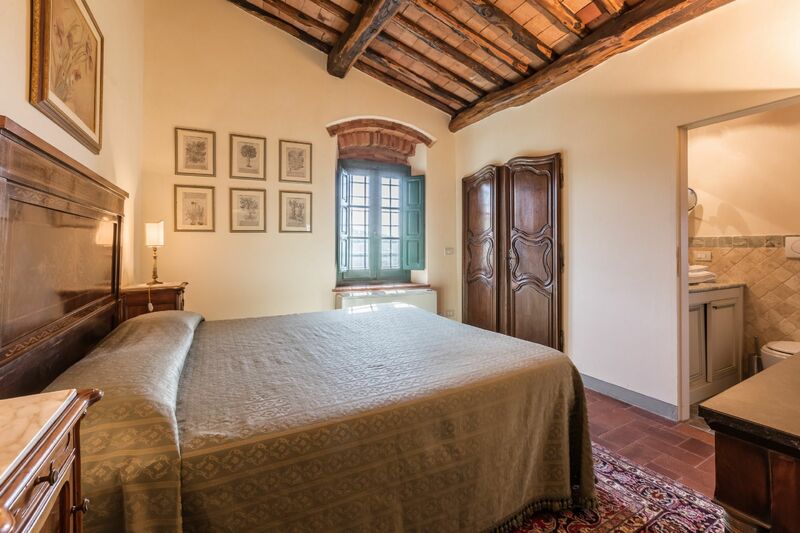 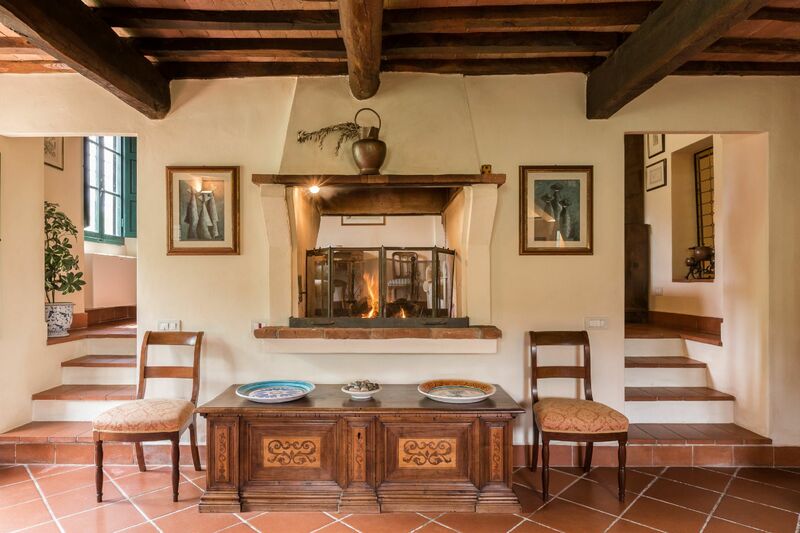 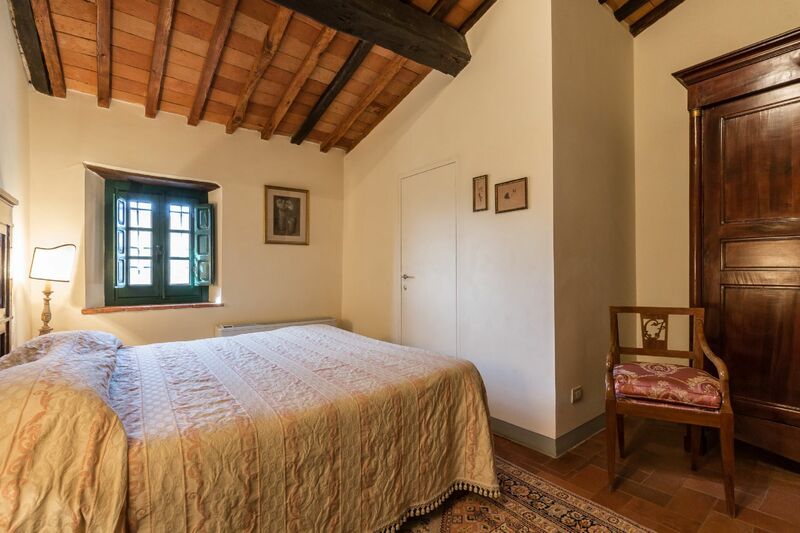 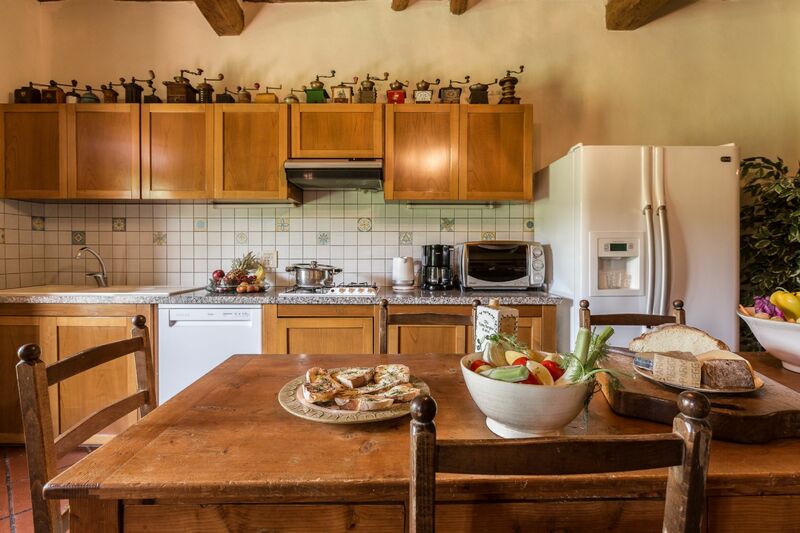 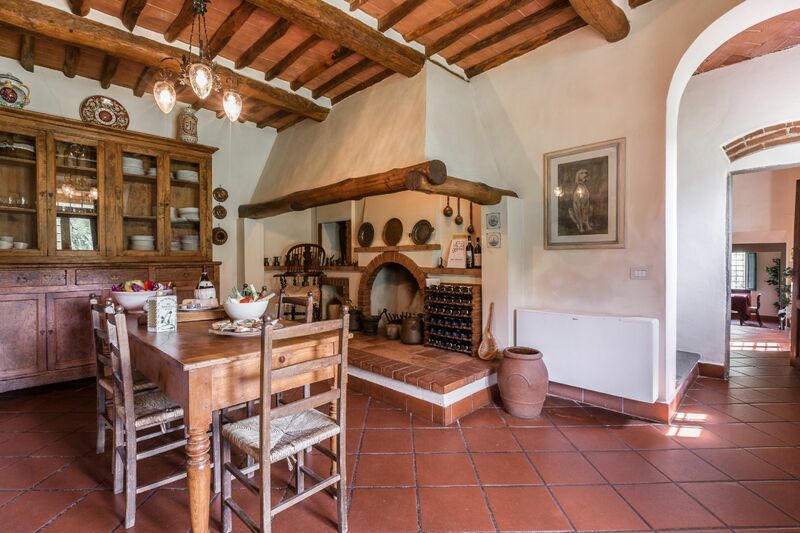 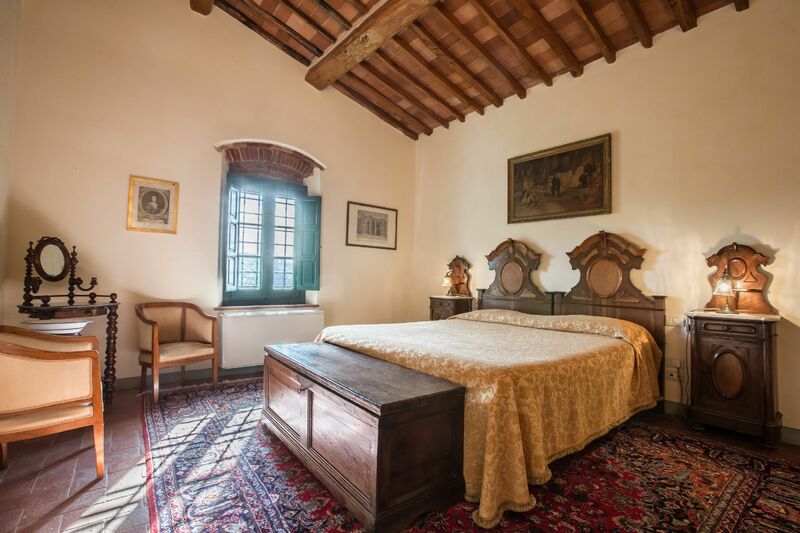 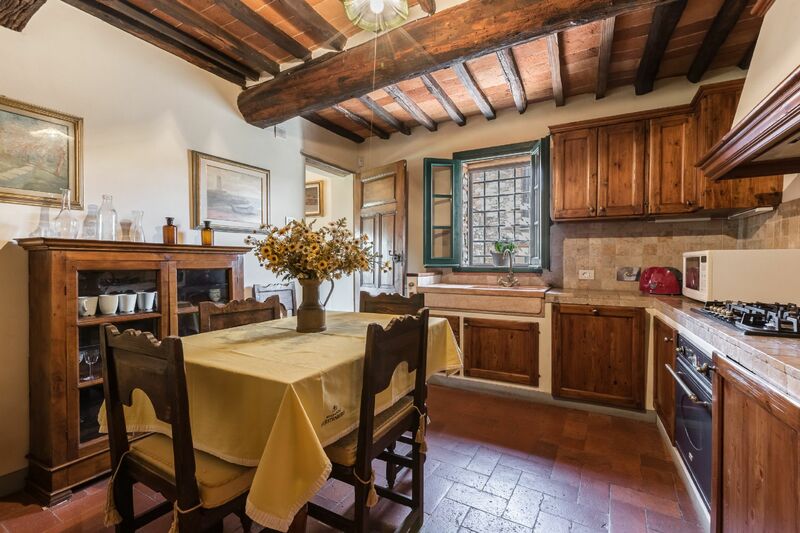 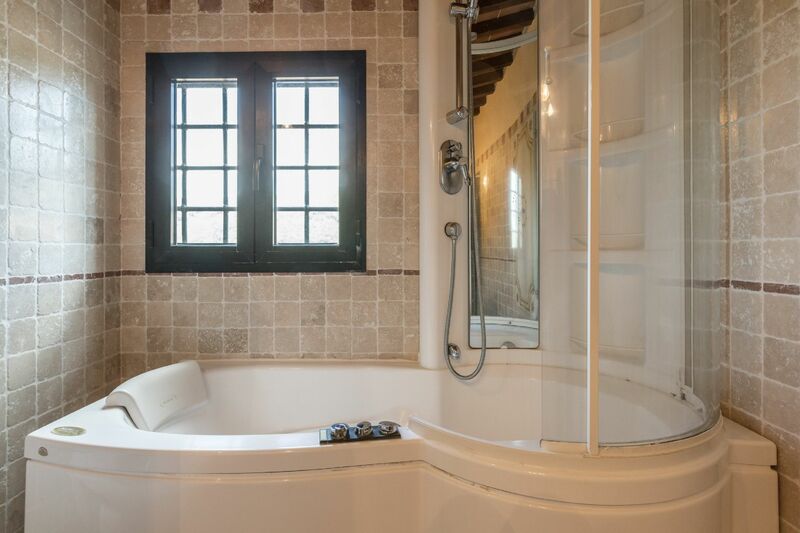 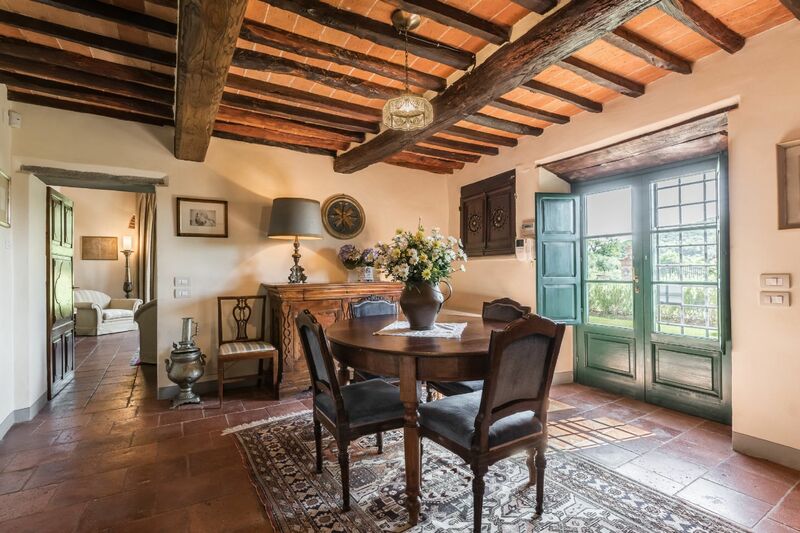 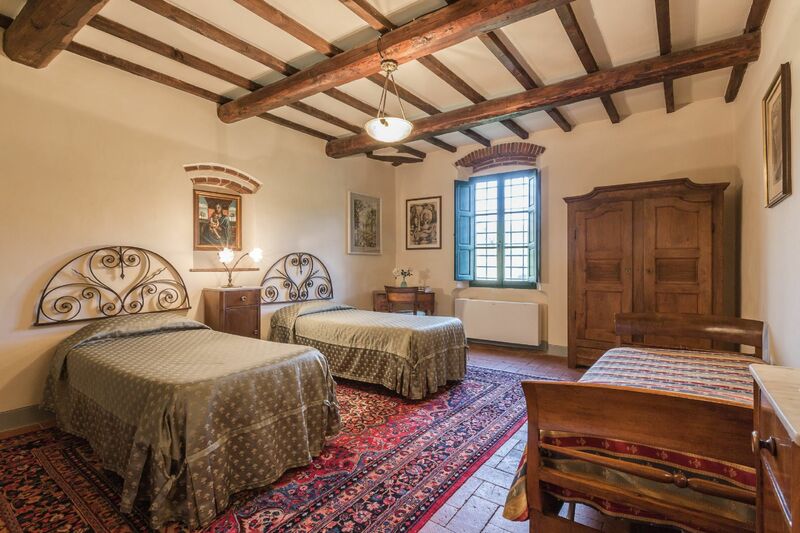 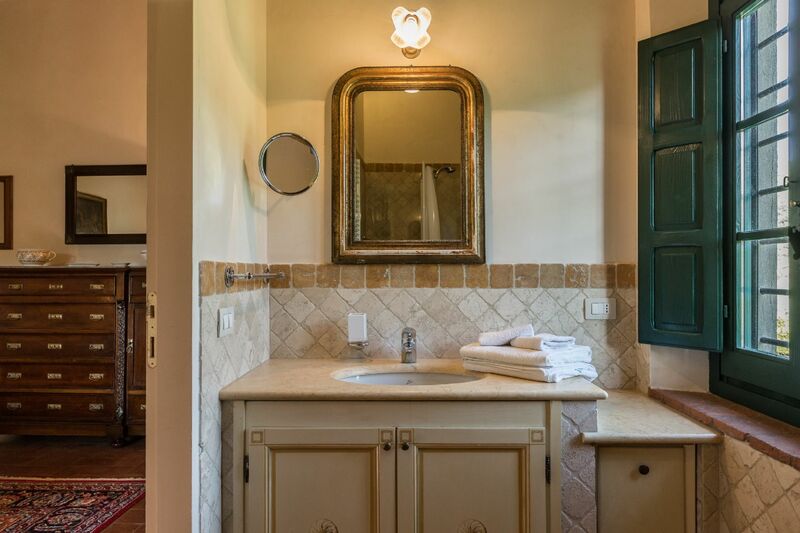 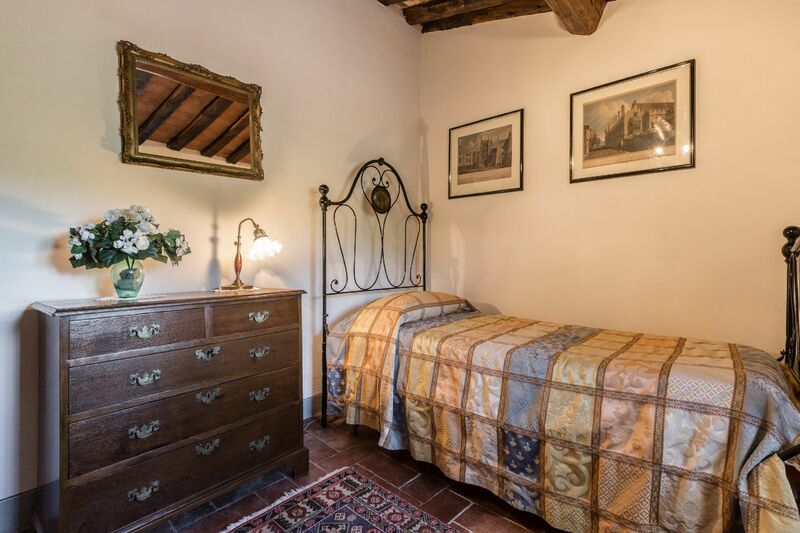 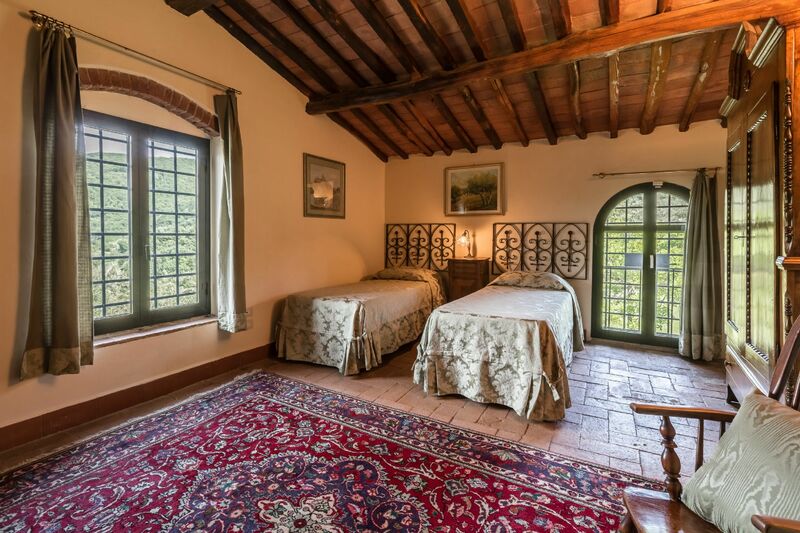 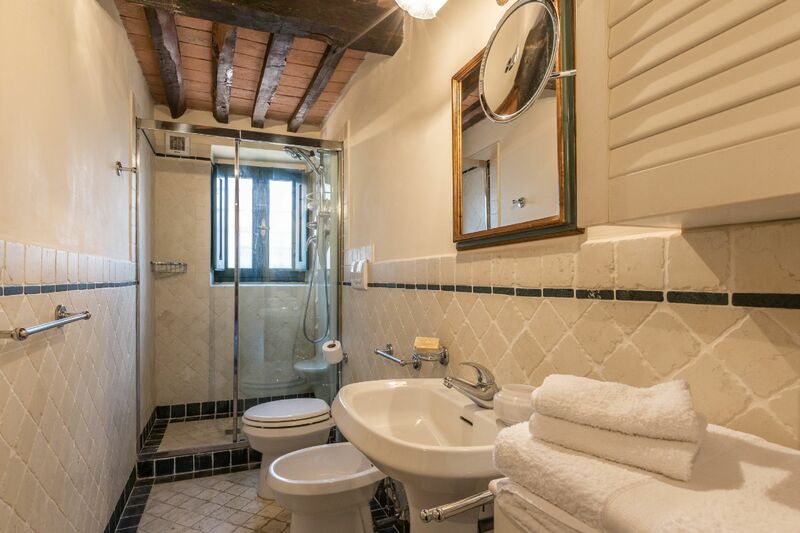 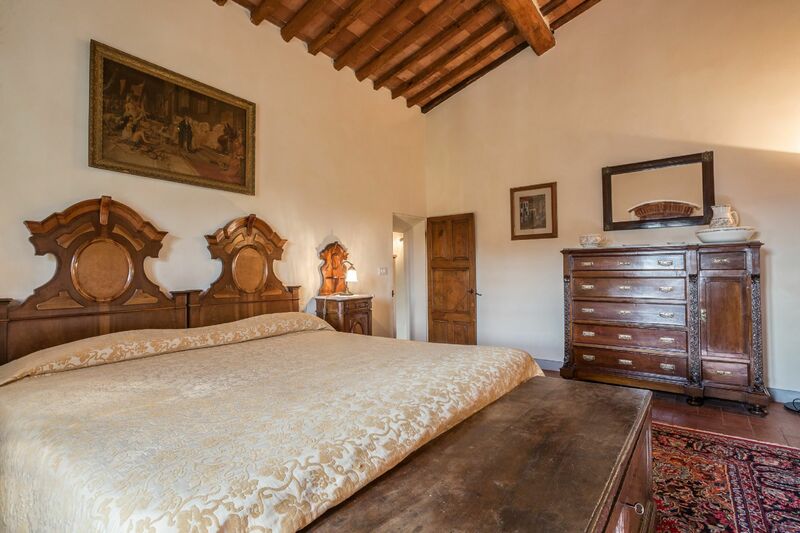 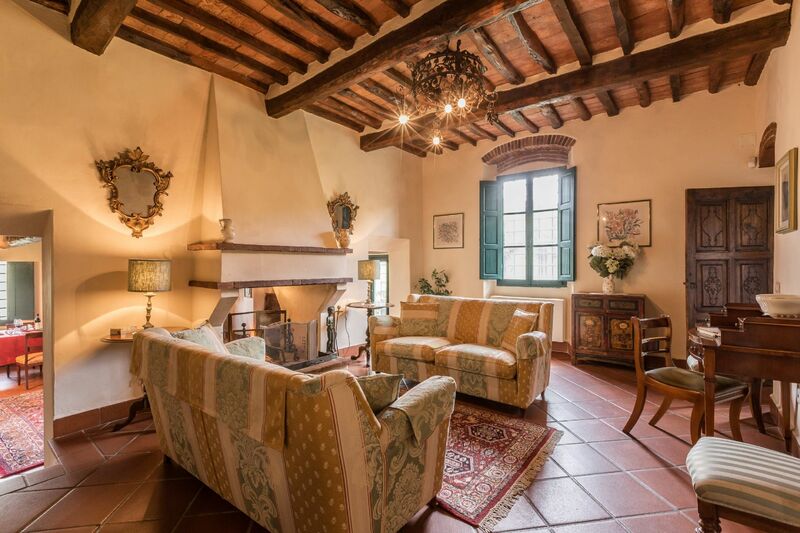 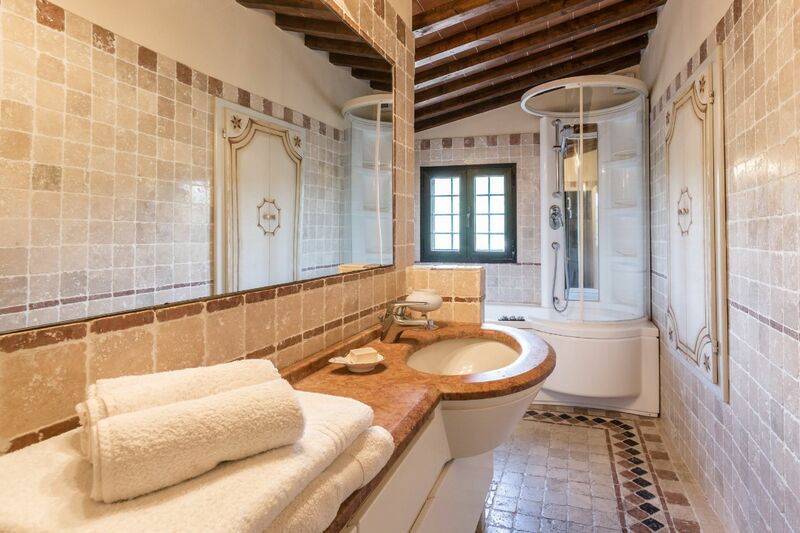 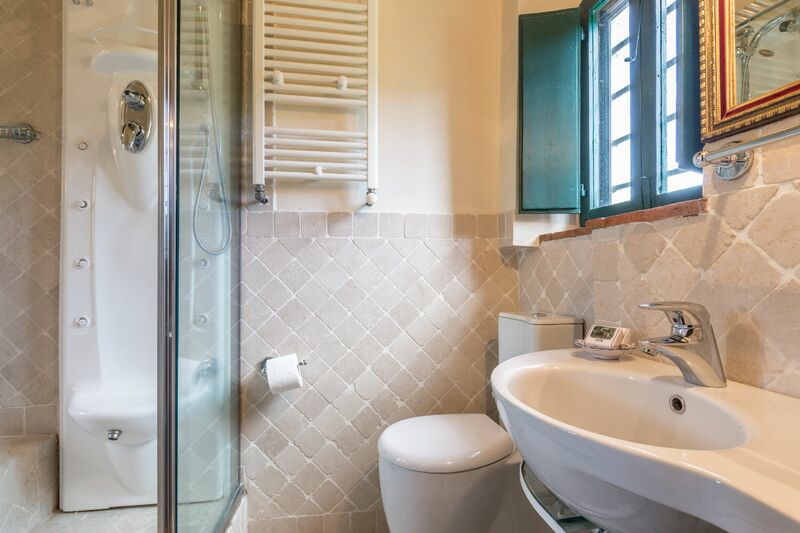 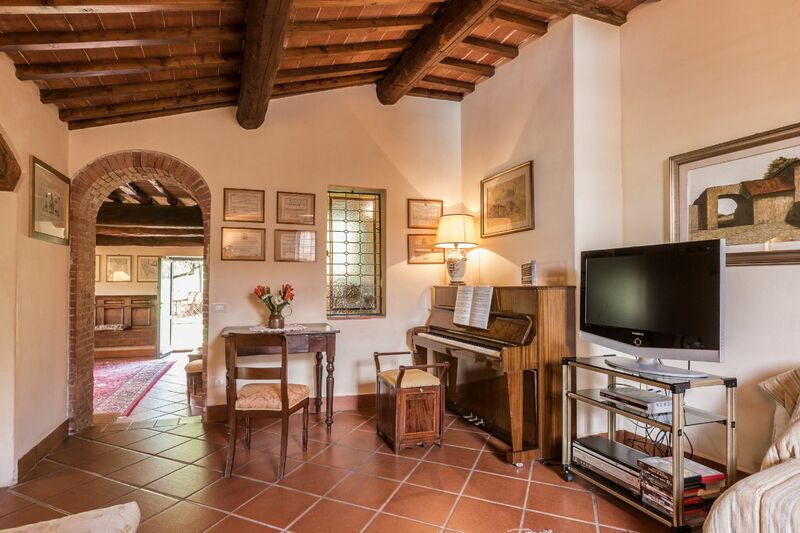 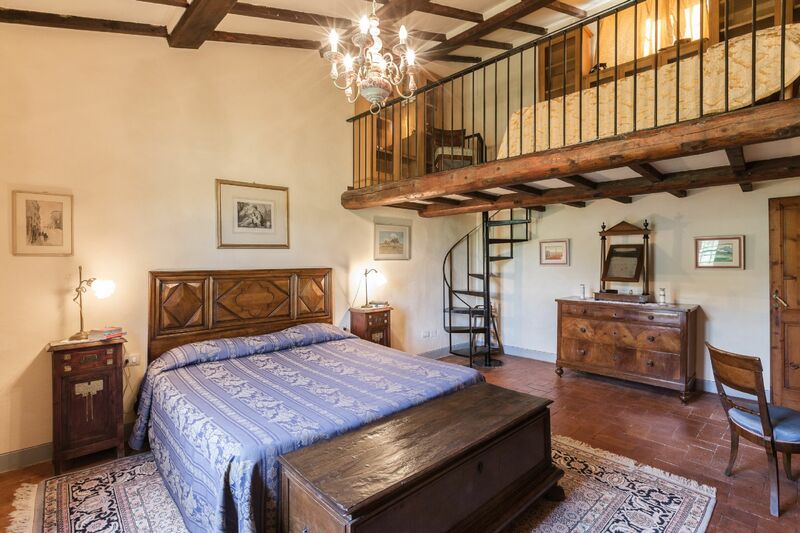 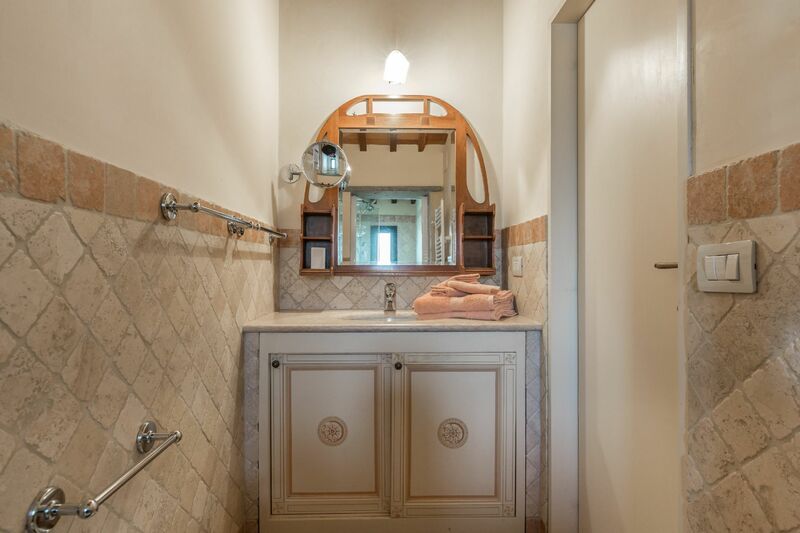 Tastefully furnished in a traditional style, the property offers an excellent standard of accommodation and the owners have taken care to maintain many original features such as wooden beamed ceilings, terracotta tiled floors and antique fireplaces. 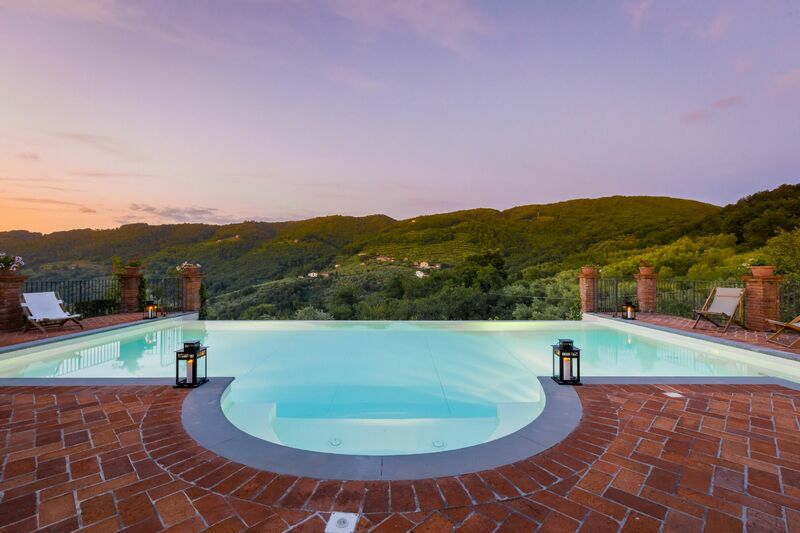 The outside and the pool: The villa is surrounded by a 3,000 square metre garden, where on the lower level, there is the infinity swimming pool equipped with hydromassage and breath taking views. 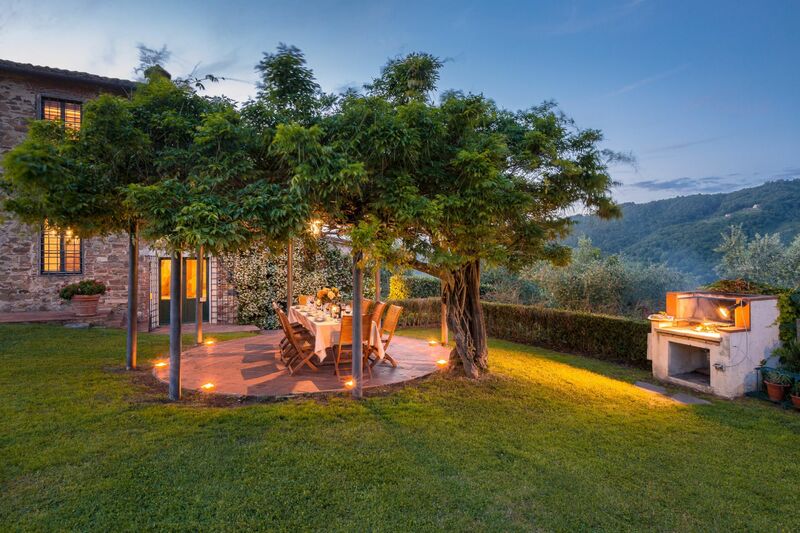 On the upper level a bar-b-que and a pergola ideal for dining 'al fresco'. 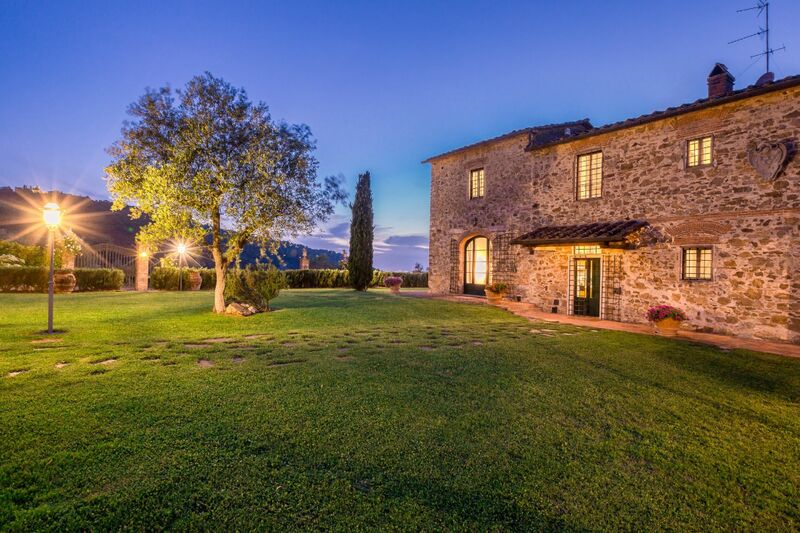 Prices are per property per week based on changeover. 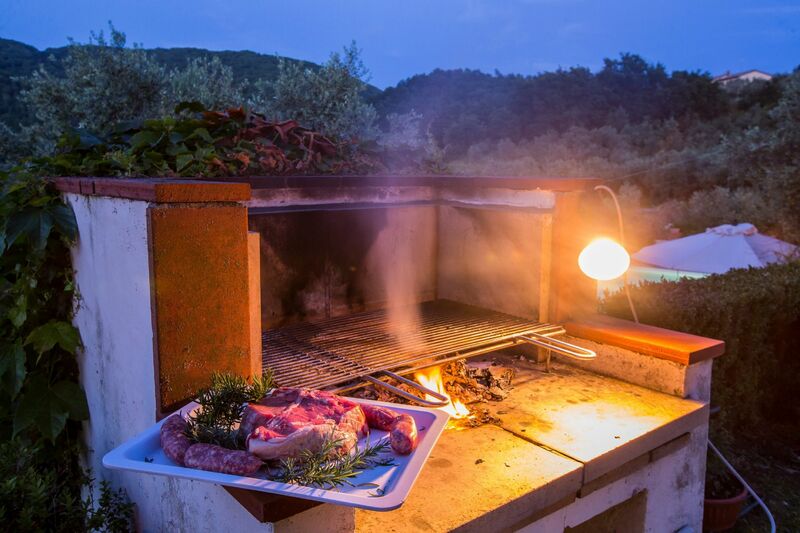 Departures on Saturday by 1000am. 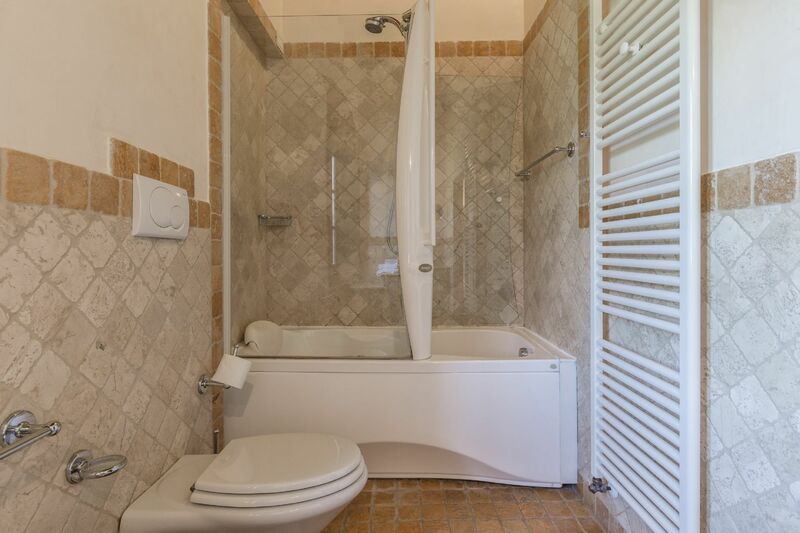 Security/breakage deposit payable on arrive in cash Euros 800. 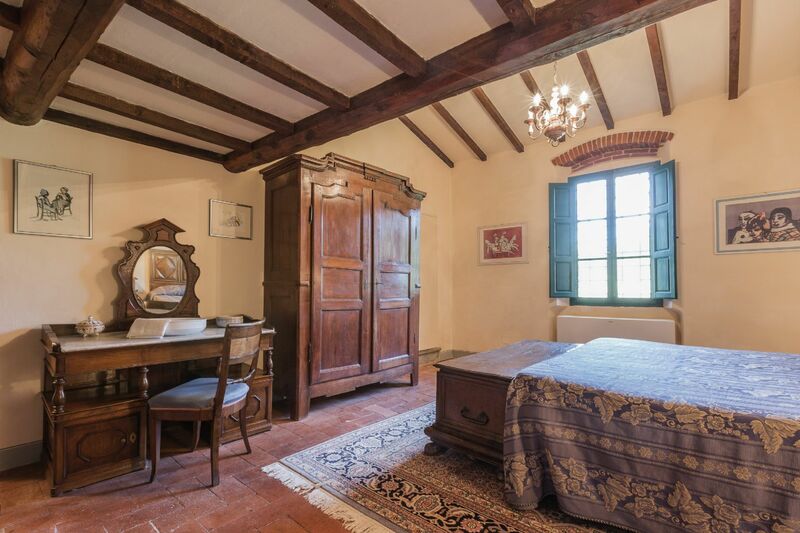 Final cleaning payable on arrival in cash Euros 300. 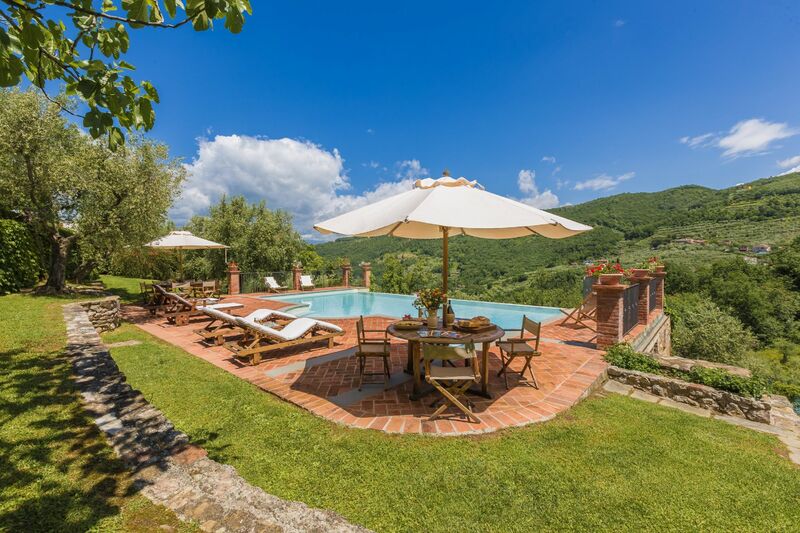 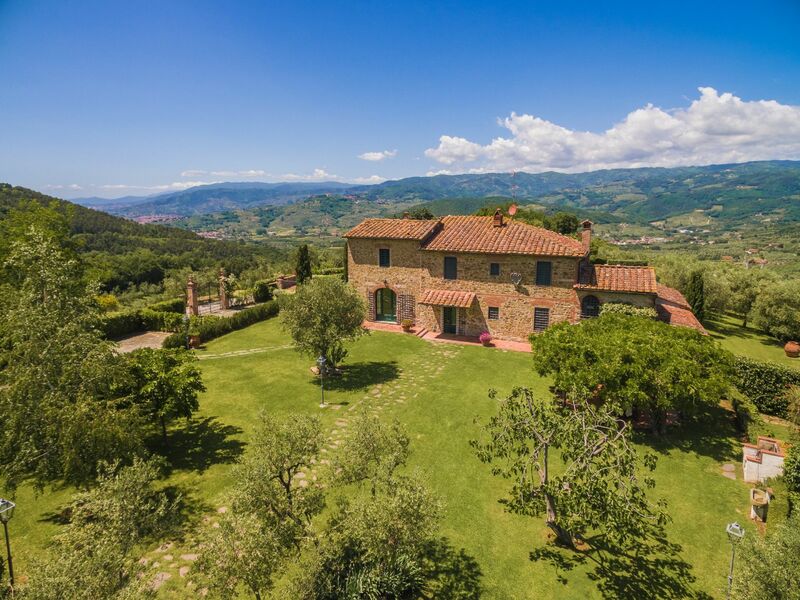 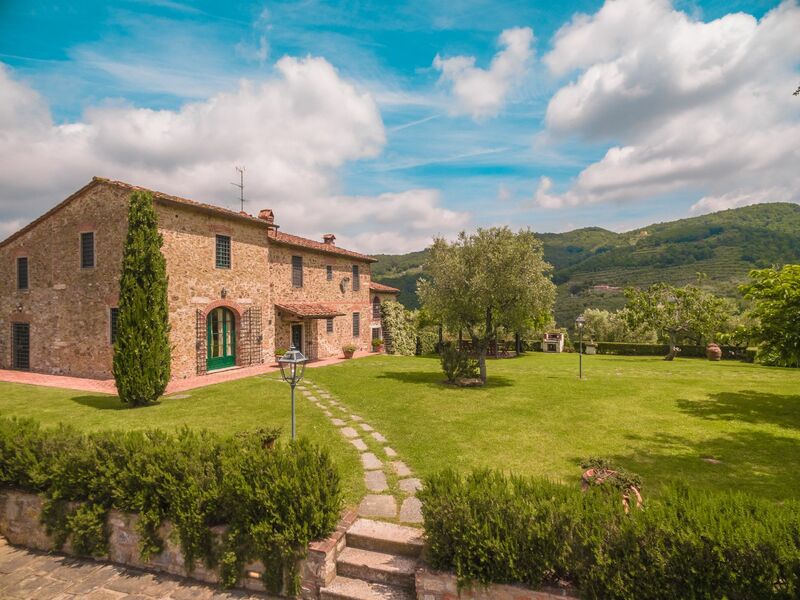 The villa is conveniently located in a central position and is an ideal base for exploring the culuture, history and beauty of Tuscany. 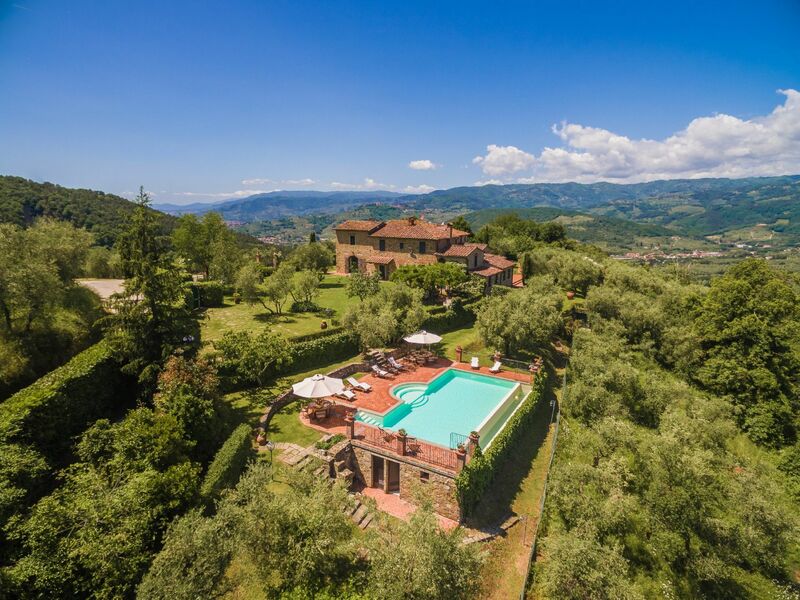 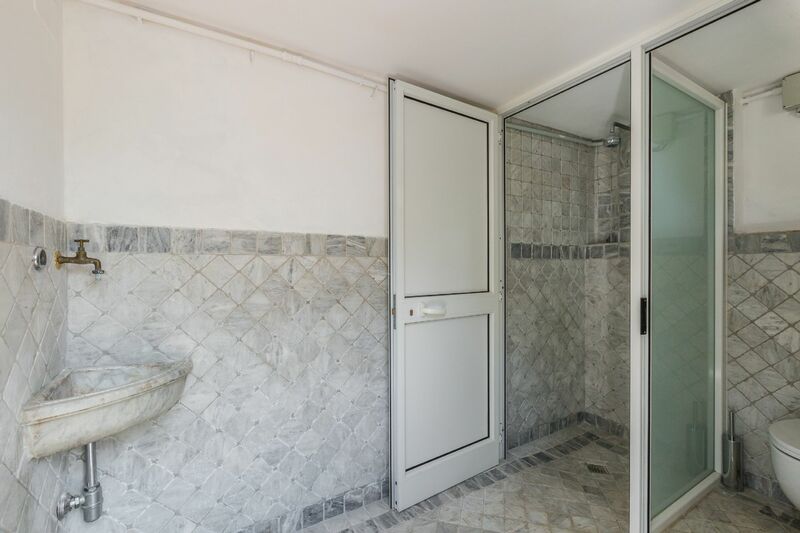 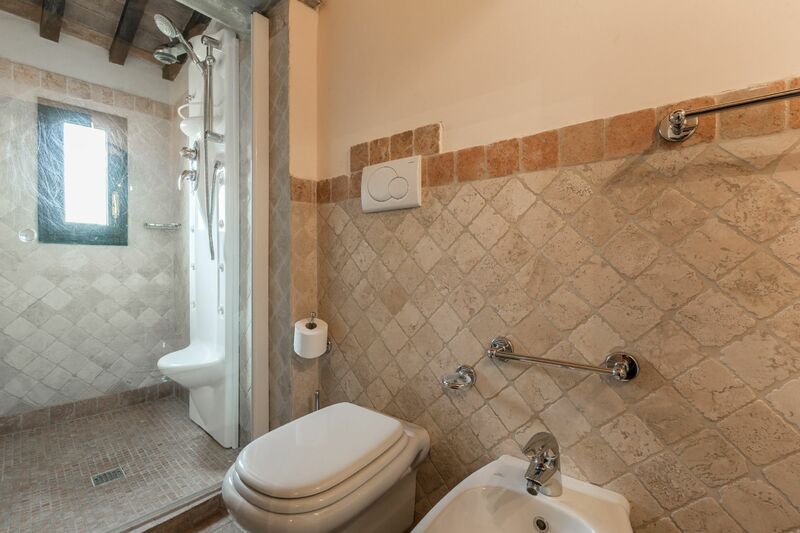 Only a short distance from Lucca and 35 minutes from Florence. 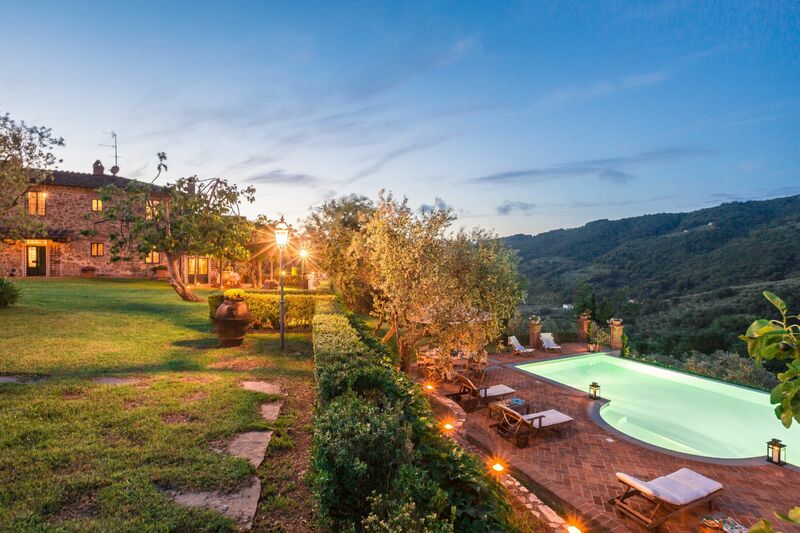 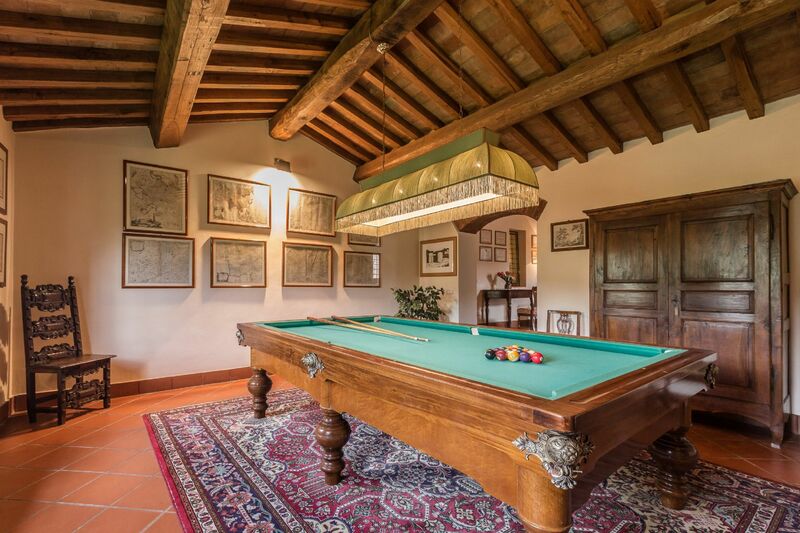 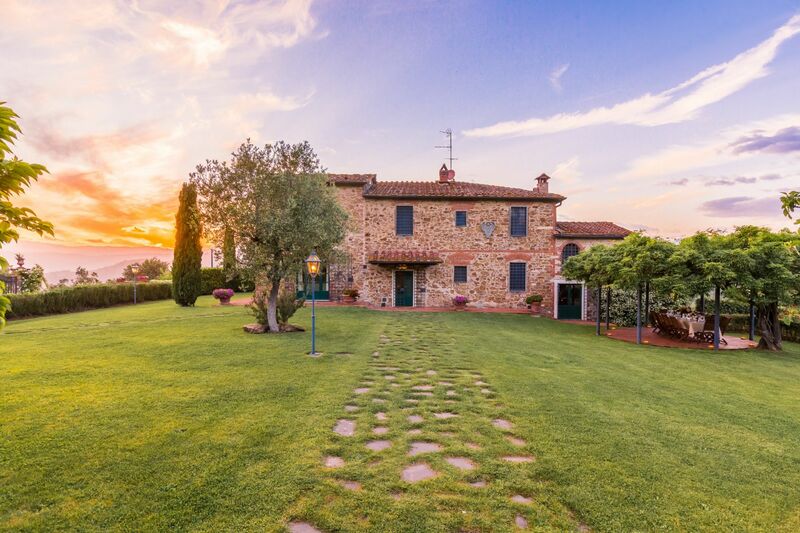 Villa Tempestini is near 6 (18 hole) golf courses and a famous SPA resort, numerous vineyards and typical trattories. 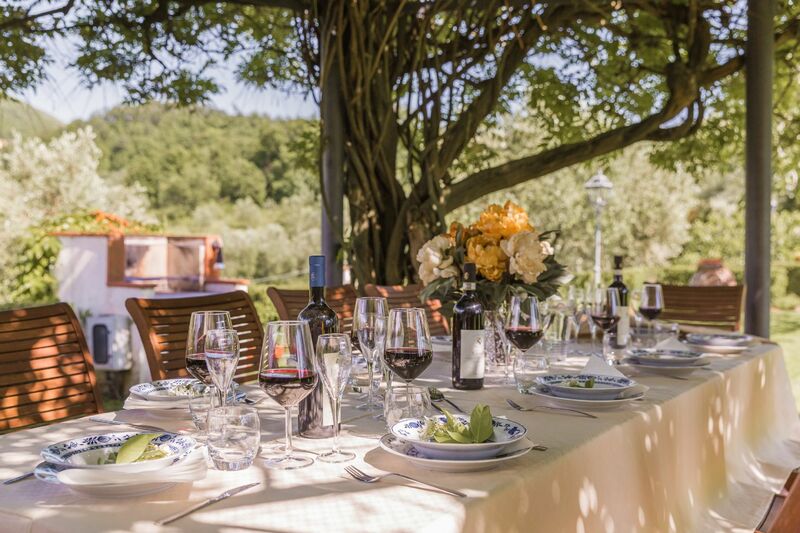 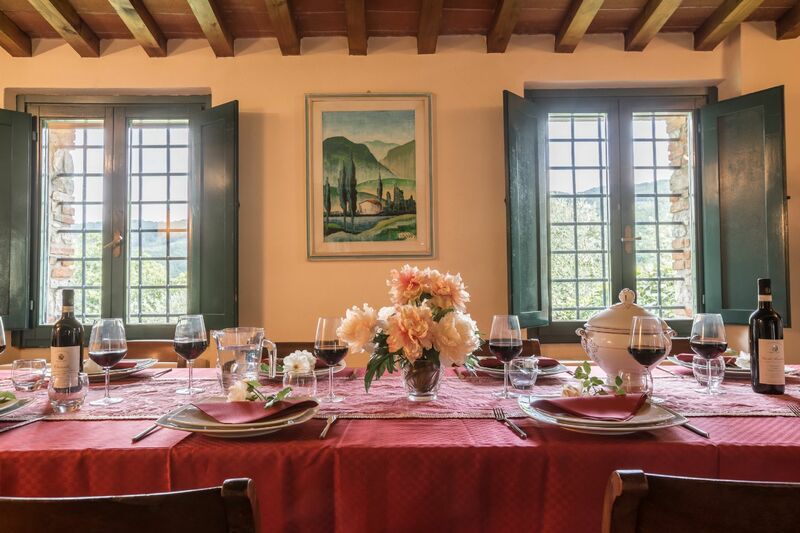 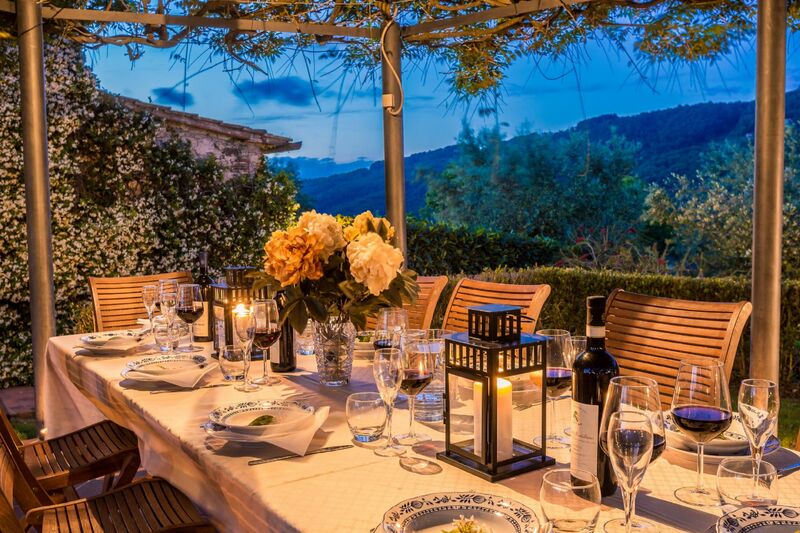 We can organise on request catering with or without entertainment, guided visits to museums or art cities, painting courses (on canvas or porcelain), courses in Italian cooking (especially Tuscan) and an on request dinner as per Tuscan menù cooked and served at the Villa.